Sustainable Food Culture is a very broad term which includes food/ exercise regime/ mental health/ physical health and family health. And of course, the starting point has to be the kitchen, which is called as Paka- Shala in Sanskrit. The very meaning of Paka- Shala is “Cooking Institution.” It indeed does not revolve around some grams of Proteins, Carbs, and Fats, it revolves around the concept of wholesomeness with a sense of physical and mental well being. How to re-create a Sustainable Food Culture? When we speak about sustainability in food, it can also be misinterpreted as a mundane or boring stuff which is precisely the opposite of how sustainable food culture should be perceived. Here are some ways we can recreate the magic of sustainable food culture. I remember when I was a kid, there would be some days when my grandma/ mom used to try different dishes just to be out of the food prep routine which used to be of the same type as per the region, religion, and beliefs that our family was adhering to. Flexibility is at the core of the whole concept of Sustainable Food Culture. The food which was made at our home was very sensitive to the season. I hardly remember having onions in the rainy season while we used to have white onion every day with dal and chapati all summers just to prevent sickness occurring from the heat wave. Having Kanji/Pej has been a practice all summers in many Indian households because it is very light on the stomach and is available aplenty. It has medicinal gut healing properties which will hardly let anyone suffer from the evil effects of IBS, Diarrhea or Constipation. Indian kitchens are festival centric. 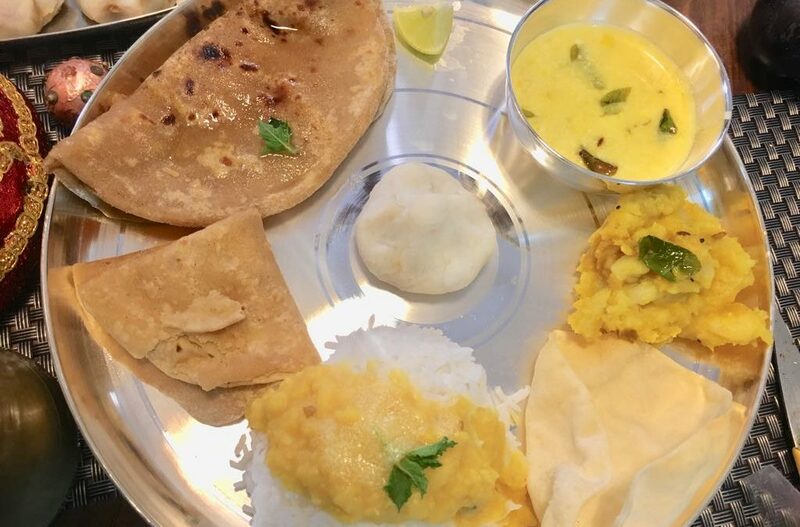 We make Gujiyas and Thandai during Holi in North India, whereas Puranpoli and Vade (Fritters) are made as an offering to the Goddess Holika in Maharashtra. Puranpoli is made of chana dal which is harvested during the months of Jan-Feb. Having Puranpoli from the freshly harvested dried chana dal is more about seasonal availability of the legume and its wholesomeness when had with fritters and kadhi which is again made of besan. Having chapati in Chennai is the wild call that one can make. Every food has its Geographic Indication. Tamil Nadu is a paddy belt since ages Tamil people have thrived on rice, coconut, banana and the dried vegetables because there were no means of growing vegetables in odd months. People used to buy vegetables in the so-called very warm winters and dry it to make it ready for the humid summers. So, having rice in Tamil Nadu and Paratha in Punjab is surrendering yourself to the already existing Sustainable Food Culture. 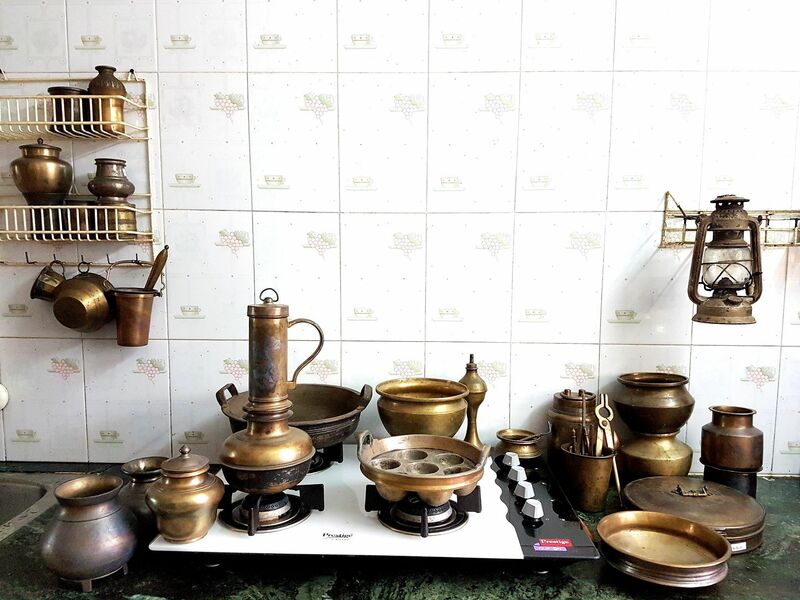 Indian kitchen has always been a minimalistic kitchen with good amount of usable utensils made of mud, brass, copper or nowadays steel. A small ventilator or a window above the gas/chulha to let go of the smoke used to be an essential feature. The kitchen was never accessible to the outsiders and is closely guarded by the lady of the house. 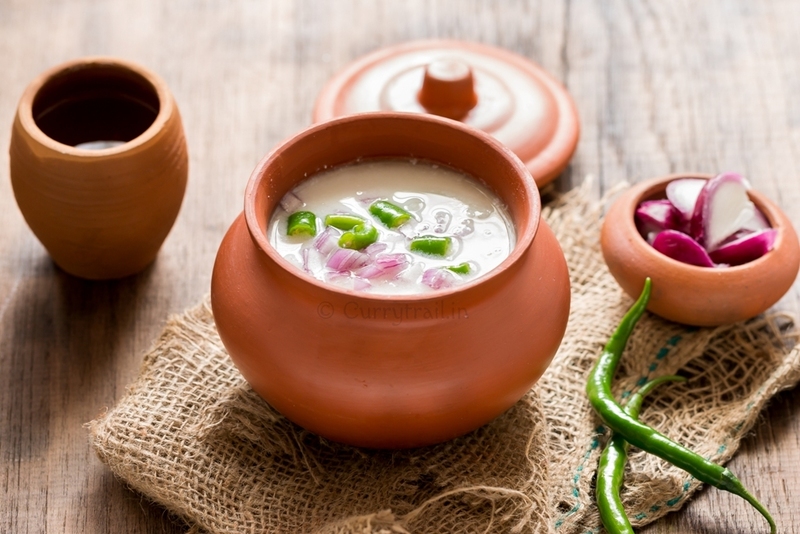 With liberalization, we do have some changes in our kitchen etiquettes now but bringing in the mud pots can bring back the earthen taste of Indian cuisine which is lost long back. No matter how far a stream goes, it is always attached to its origin. Sane applies to us…experiment, explore in all directions but never underestimate the power of our ‘roots’ . No matter how far a stream goes, it is always attached to its origin. Same applies to us…experiment, explore in all directions but never underestimate the power of our very Roots! This is a very different aspect of sustainability that you have brought into light. To break from routine, yet stick to the roots is a good way of remainging ground as far as healthy food habits are concerned. Actually I didn’t know the meaning of Sustainable food when I saw the video. Your post had cleared the concept of sustainable food in my head. And the examples and experiences you have shared of wholesomeness are very handy and should be followed in the time to come. This is so true. Our festivals and eating habits were designed based on seasons, harvest and environmental changes. If we really try and understand the science behind it, we will have a healthier and richer lifestyle. Going back to the roots is a good solution! Nice article ! The idea of linking food with the season is strongly ingrained in Ayurveda. I hope you can identify the recommended food for the prevailing seasons and write about it. It is a great post. Ur portrayal of sustenance, as you have rightly pointed out is far from mundane. Probably going back to our roots, yet maintaining our newly emerging tastes is the only way. Everything that we are changing is ultimately leading us back to the original. we are presently going in a circle and it is leading us back to our heritage which we are forgetting with progress. I love the way you’ve linked everything. Thank you so much Richa. Some day we all will come back to square one in terms of wholesomeness and nutrition. 🙂 Thank you for your comment. Thank you so much. Me and shrilekha, the co-author of this blog have a walking buddy called “Caramel”. She is an Indian Mongrel Pup. I have already followed your instagram account. Thank you for subscribing and stopping by. Thankyou authors. With the existing current trend of our lifestyle and adulterer food I think it is mandate for each of us to stick on to our traditional food in the region which we live. Well thought and we’ll articulated. I consider this as the best Women’s day gift which every girl can treasure. Keep up the good work guys. Thank you for the comment Deepu. I m sure you are pretty much sticking to the tradition and the region when it comes to food ..we are those migrated souls who swapped their staples with the staples of the region.. This is surely an eye opener for those who had forgotten our traditional life style.Any means to boost health is most welcome in these present days of stress and neglect. Which is so important as to maintain some interest in our daily cooking . Just loved your write up.